From the moment owner Michael Stewart greets you at Square One, youâ€™ll feel like the eveningâ€™s special guest. The ambiance at Square One suggests a comfortable party thrown by a gracious host, who has shined the silver, starched the cloths and arranged flowers in your honor. The lighting is low and flattering. The staff is alert to every detail and request. Live piano music trills like a sigh of relief, but playful tunes interspersed with romantic crooning keep the mood light. Guests, including many locals and regulars, feel at ease in their blend of â€œisland elegance,â€ whether itâ€™s silk, cotton, or a fun, tropical shirt. Some carry this spirit all the way, sipping pina coladas, rum runners or one of Patrickâ€™s award-winning â€œMonkey nuts,â€ while others enjoy single malt Scotch, or a selection from our wine list. Come for breakfast, lunch or dinner or even a relaxing Sunday brunch. Whatever you decide you'll enjoy American classics gracefully arranged and in satisfying portions. No matter how you start your meal, the cuisine created by our Chef Andrew Nguyen delivers solid American classics gracefully arranged and in satisfying portions. Save room for dessert. And when you leave, please promise Michael youâ€™ll be back. We also offer Sunday Brunch. Enjoy a delicious brunch outside with mimosas and eggs benedict or a wonderful berry waffle. Or join us at the CafÃ© @ Square One for breakfast or lunch. Give your own guests the Michael Stewart welcome. Have Square One cater your next party, reception, groomâ€™s dinner or other special event. We offer private parties in the restaurant, and also cater off-site. Let the chef create a menu from his own imagination, or choose the theme yourself. Either way, youâ€™ll be able to relax with your guests and enjoy wonderful foodâ€”which is what an evening at Square One is all about. Square One's professional staff will ensure your event is catered to your exact specifications. 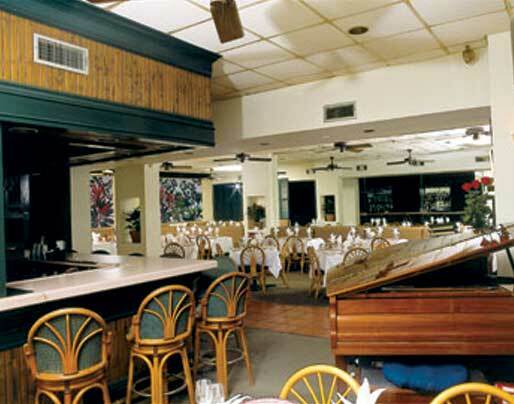 If you will be visiting Key West soon, and you would like to join us for dinner, please call us directly at (305) 296-4300 for fastest confirmation. We answer all messages promptly in the event you reach our message service.